What is dissolved oxygen (O2)? Dissolved oxygen is the level of free, non-compound oxygen which is present in water or another liquid. Why is dissolved oxygen measured? Proper oxygen levels are important in many processes in biotechnology, pharmaceutical development, food and beverage, chemical manufacturing and in water and primary water treatment. In-line measurement for the monitoring of dissolved oxygen is vital in optimizing product yield and quality, reducing costs and ensuring process safety. What is a dissolved oxygen meter? A METTLER TOLEDO dissolved oxygen meter measures in real-time and continuously the dissolved oxygen level in water or another liquid. Depending on the kind of application and industry, the dissolved oxygen concentration is expressed either in relative numbers, such as percent saturation, volume percent, percent dissolved oxygen, ppm or in absolute numbers, e.g. mg/L or mmol/L. Dissolved O2 sensors with cutting-edge optical technology combine precise measurement down to trace levels with low maintenance. How does a dissolved oxygen meter work? 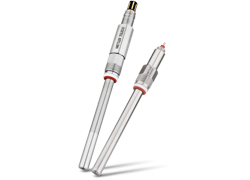 METTLER TOLEDO offers two different types of oxygen sensor: amperometric and optical. Amperometric: The dissolved oxygen sensor uses a gas permeable membrane to separate the sample from the electrochemical cell inside. Oxygen diffuses through the membrane in direct proportion to the partial pressure of oxygen in the liquid outside the sensor. The cathode and anode inside the probe are polarized with a voltage to enable the electrochemical reaction of oxygen. Oxygen is reduced at the cathode while the anode is oxidized, producing a small current in direct proportion to the amount of oxygen reacting. In addition, the dissolved oxygen sensor uses the temperature value to convert the oxygen partial pressure signal to a dissolved oxygen concentration value by compensating for the changing solubility of oxygen with temperature. Optical: Dissolved oxygen probes that use optical technology for measurement contain an oxygen-sensitive layer that can fluoresce. This layer absorbs light from a light emitting diode in the sensor, and the light is released as fluorescence. The amount of fluorescence depends on the level of oxygen present in the sample media. How do you calibrate a dissolved oxygen sensor? Each dissolved oxygen meter has its own individual slope and zero point. Both values are subject to change. To ensure high measurement accuracy of the dissolved oxygen sensor, calibration must be carried out after each exchange of a sensor's spare part(s). Dissolved oxygen sensor calibration can be performed as a 1-point or 2-point calibration. For the 1-point calibration the normal calibration medium is air, for a 2-point calibration additionally a gas with 0% oxygen has to be used, which normally is pure nitrogen. What is dissolved carbon dioxide (CO2)? Dissolved carbon dioxide is the amount of CO2 present in water or another liquid. Carbon dioxide typically is encountered as a gas. Therefore, the in-line and on-line measurement of carbon dioxide in processes is a measurement of the pressure which the carbon dioxide applies either in the gas or in the liquid in which it is dissolved. How do you measure dissolved CO2? Dissolved carbon dioxide is measured with a dissolved carbon dioxide sensor. Depending on the kind of application and the industry, the dissolved CO2 content is expressed in different units. What is a dissolved CO2 sensor? A dissolved carbon dioxide sensor is an analytical sensor which measures dissolved carbon dioxide. METTLER TOLEDO dissolved CO2 probes deliver precise, real-time data that increases understanding of critical fermentation and cell culture processes. The information measured by the dissolved CO2 sensor provides insights into the cellular metabolism and other changes within the bioreactor. How does a dissolved CO2 sensor work? 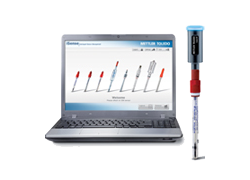 The METTLER TOLEDO dissolved CO2 probe measures in-line and provides real-time CO2 values based on the technology of the Severinghaus principle, which utilizes the correlation between dissolved carbon dioxide and pH of a liquid. The sensing electrode is an enhanced pH electrode separated from the measurement media by an electrolyte-filled gas permeable membrane. CO2 diffuses through the membrane and into the inner electrolyte of the dissolved carbon dioxide sensor, where it equilibrated with biocarbonate ions, altering the pH value. The relative change in pH value of the electrolyte is then measured by the enhanced pH electrode and correlated to CO2. How do you calibrate a dissolved CO2 sensor? There are two steps to calibrating a dissolved CO2 probe. Step one is the calibration of the pH electrode in pH buffers without the membrane body. At this step the slope and zero point of the pH electrode are calibrated. Step two of calibrating a dissolved CO2 sensor is needed after the sterilization and is called process calibration. This second step of calibration will correct the small deviation of the pH electrode after sterilization. Ozone is a strong oxidizing gas that is injected into water or electrolytically generated in water. Dissolved ozone reverts back to harmless oxygen very quickly, depending on the temperature and pH of the water, so it must be generated and measured very close to the process. How do you measure dissolved ozone? Dissolved ozone is measured with a dissolved ozone sensor. What is a dissolved ozone sensor? A dissolved ozone sensor is an analytical sensor which measures dissolved ozone. How does a dissolved ozone sensor work? The dissolved ozone probe uses a gas permeable membrane to separate the sample from the electrochemical cell inside. Ozone diffuses through the membrane in direct proportion to the partial pressure of ozone outside the dissolved ozone sensor. The cathode (electrode from which conventional current leaves a polarized electrical device) and anode (electrode from which conventional current flows into a polarized electrical device) inside the probe are polarized with a voltage to enable the electrochemical reaction of ozone. Ozone is reduced at the cathode while the anode is oxidized, producing a small current in direct proportion to the amount of ozone reacting. A guard electrode is provided around the cathode. In addition, the dissolved ozone sensor uses the temperature value to convert the ozone partial pressure signal to a dissolved ozone concentration value by compensating for the changing solubility of ozone with temperature. How do you calibrate a dissolved ozone sensor? Calibration of a dissolved ozone sensor calculates new calibration constants for the sensor (zero current and a slope). Therefore, a zero current calibration procedure and a slope process calibration procedure have to be performed on the dissolved ozone sensor. 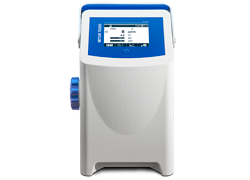 For most application, ozone-free air or water is used and provides the most reliable standard for the zero current calibration. 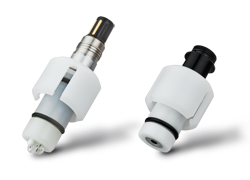 High performance optical and polarographic dissolved oxygen sensors for chemical, pharmaceutical, power, food and beverage industries and microelectronics, pure and waste water applications. In-line dissolved CO₂ measurement for optimizing production and maintaining quality in biotech, pharmaceutical and beverage production. In-line dissolved ozone (O₃) sensors for process control provide reliable monitoring in pure water applications. Gamma-sterilizable sensors in single-use format for measuring pH and DO. Designed for biotech companies that manufacture single-use bags. ISM accessories such as software or transmission solution allow you to take full advantage of ISM technology. Oxygen measurement and control plays an important role in countless processes across the chemical, pharmaceutical, biotechnology, power, and food & beverage industries. Dependable in-line measurement of O2 in liquid and gaseous mixtures is vital for providing continuous, real-time data on oxygen levels. The oxygen theory guide is a comprehensive referene and training tool. Achieving high quality products is possible with a stable, predictable and consistent production process. The accuracy of process analytics in-line sensors plays a major role in monitoring manufacturing to ensure the required process conditions are always being met. This guide covers good operating procedures and includes advice for maintaining in-line dissolved oxygen and pH sensors to ensure high measurement reliability at all times. The Process Analytics catalog includes product features and specifications, benefits and recommended application areas, order details and much more for process analytics measurement solutions. You will find the information you need quickly and easily. Dissolved oxygen sensors can often produce a noisy signal due to the bubbles, which accumulate at the sensor tip. 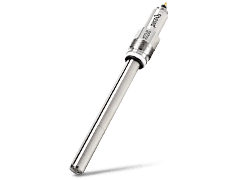 METTLER TOLEDO's Anti-Bubble OptoCap dissolved oxygen sensor prevents bubbles from adhering and collecting. Assembling a standard CO2 sensor is time consuming and involves many steps. METTLER TOLEDO's CO2 InPro 5500i sensor has a one piece membrane body. This convenient design makes maintenance fast and simple. Breweries require that dissolved oxygen sensors are rugged, easy to use and simple to maintain. METTLER TOLEDO's InPro 6970i sensor meets all expectations and measures product quality and taste.